It is very important to get attested your degree or master degree (Qualification) certificates if you want to bring your family on permanent visa or to get more benefits in Saudi Arabia. For Saudi attestation of your certificates you should go through a little long process in your home country, You should be patient till it processed completely. To complete this process it may take a time of two months, It is better to hire a specialized agent from your local area. In this process you have to handle your original certificates to process it. 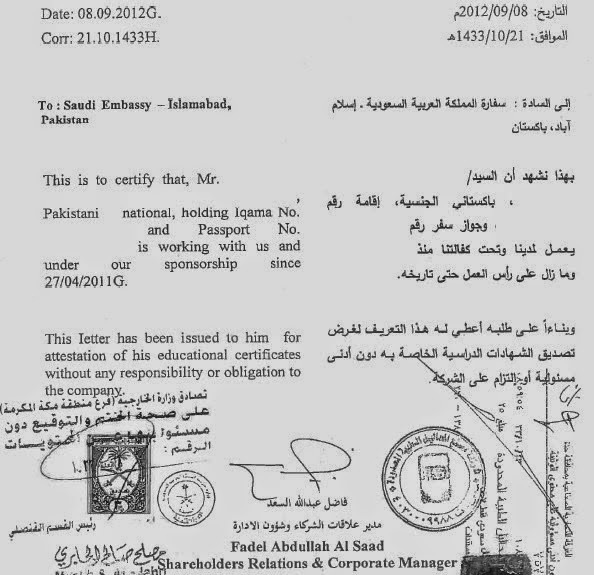 You can check this article to find Saudi Embassy in your home country "Saudi Embassy address". 1. Attestation of Degree certificates (HRD & Ministry of External Affairs(MEA) in your home country). 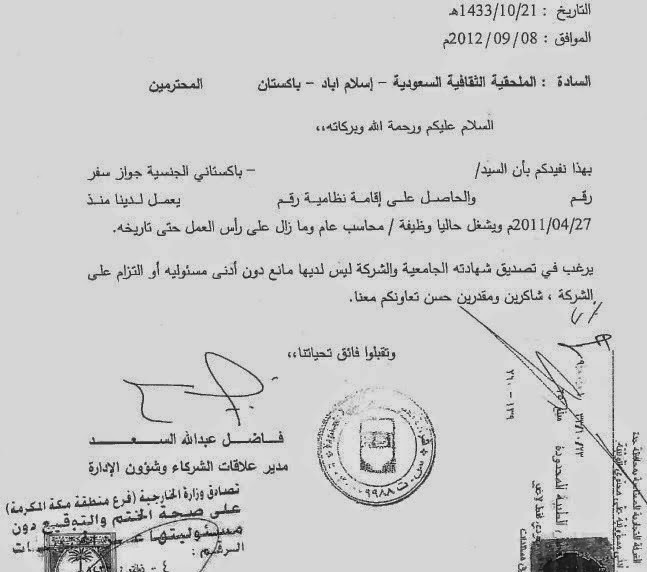 2. Letters from company requesting Saudi Cultural Office and Saudi Embassy. 1. HRD & MEA Attestation : HRD & MEA is to be done in your state or country. Whether you can attest your Highest qualification certificate or degree certificate. You can also attest your marriage certificate if you are married. This process may take 1 day minimum and maximum depends on the process you selected. After this attestation your certificates back side you will find red seal and stamps from HRD & MEA department. 2. Saudi Cultural Office & Saudi Embassy : Here you should take letters from your company requesting Saudi Cultural Office and Saudi Embassy to attest your qualification certificates. Once you got these all you can hire an agent in your country to attest your certificates in Saudi Embassy. It may take more than 45 days to get Saudi attestation. 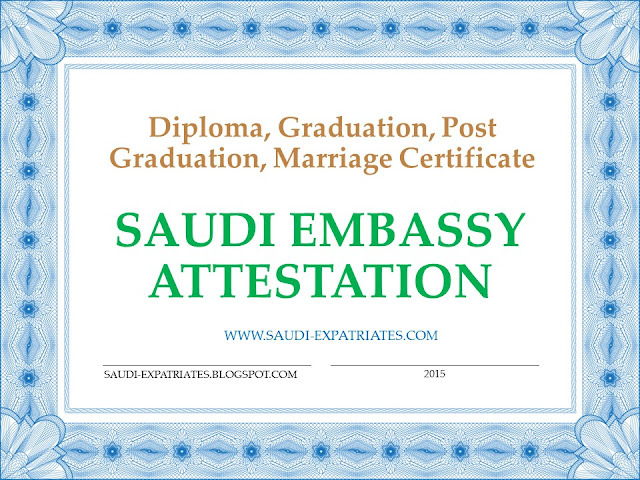 Once your Saudi attestation finished you can submit back it to your company for further process. It has a fee of 1000 Saudi Riyals for change of profession as you certified. Can you please tell me if HRD & GRD is required for marraige certificate? asalam u alaikum is their any validity for this chamber certificate after issuing how many day it have validity.